The cooperative society Milchhof Brixen – Brimi Gen.m.b.H. – processes more than 89 million kilogrammes of South Tyrolean mountain farmer milk every year. About 1100 farmers in that region commit their precious raw milk to the almost 150 employees of the plant in Vahrn who process the milk and produce various kinds of cheese, butter and cream. 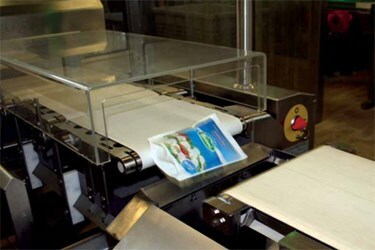 For this dairy company the mozzarella production has the highest priority. OCS Checkweighers supports the cooperative society, which is among the leading producers of cream cheese in Italy, by providing highly precise checkweighers equipped with cutting-edge Weigh Cells suitable for the specific requirements of the food industry.